While running errands in Walnut Creek several years earlier, I drove past a seemingly large public garden nestled in a residential neighborhood, the location of which seemed oddly out of place to me at the time (it turns out that the garden’s location made perfect sense, for the reasons discussed herein). 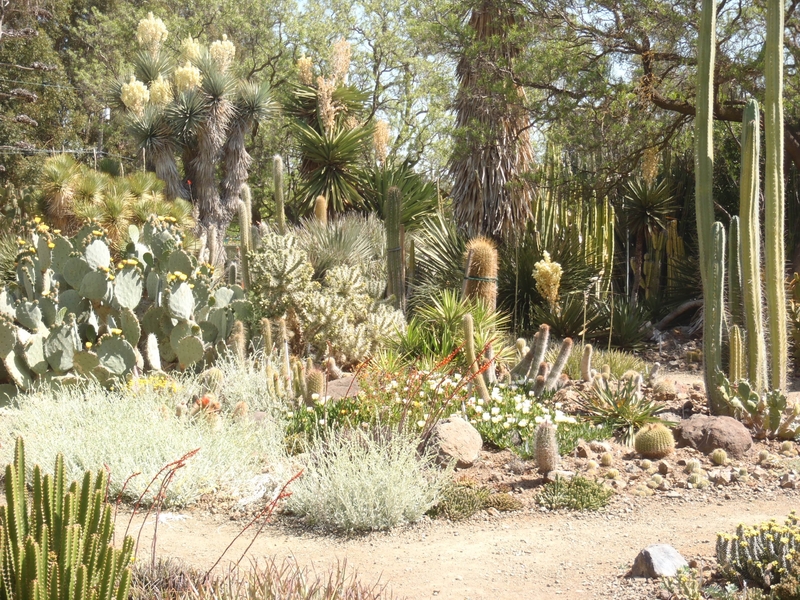 I learned that the name of this garden was, “The Ruth Bancroft Garden,” which caught my eye. Having graduated from UC Berkeley, the name "Bancroft" meant something, as it is the name of one of the major research libraries on campus as well a street that borders the south side of the university--turns out that this association was correct. I arrived early one Sunday morning to visit this garden. Seeing as I was the only one there, a knowledgeable and enthusiastic docent named Kimberly, was kind enough to take me on a wonderful tour of the garden. Kimberly explained that a 400-acre walnut and pear orchard founded by historian and publisher, Hubert Howe Bancroft, once stood where the Ruth Bancroft Garden is currently situated. In 1939, Hubert Howe Bancroft’s grandson, Philip Bancroft, and his wife, Ruth Bancroft, moved onto the property. 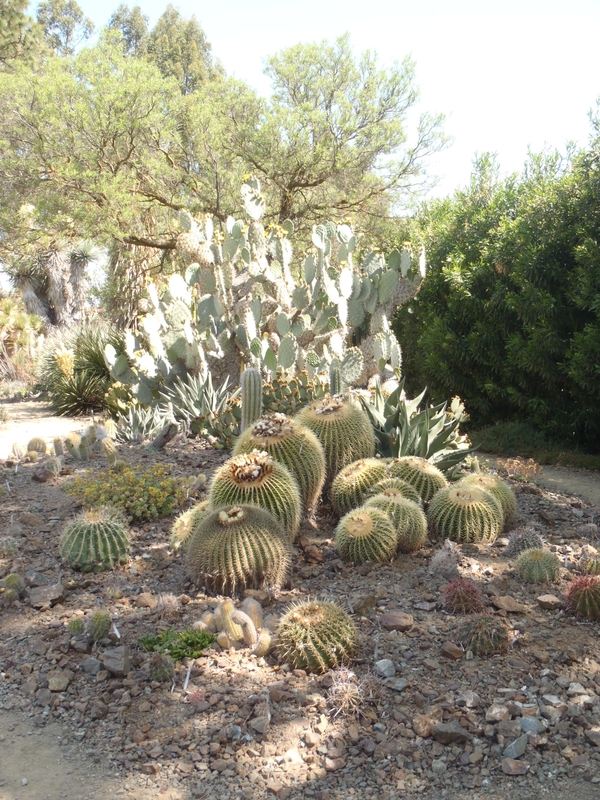 Although Mrs. Bancroft had been a long-time, avid gardener, it was not until the 1950’s, that she began collecting succulents. The family farm continued to operate until the 1960’s, at which time, the property was re-zoned for residential use and sold to developers who were developing the town of Walnut Creek. The last walnut orchard on the farm was razed in 1971, at which time, Mr. Bancroft reserved and gave Mrs. Bancroft, 3.5 acres with which to plant her collection of succulents, numbering in the thousands by that point. It is on that very plot that the Ruth Bancroft Garden is now located. Mrs. Bancroft was in her 60’s when she started planting her succulent garden. Having had architectural training, Mrs. Bancroft designed the planting layout and grouped plants according to her artistic sensibilities rather than on the geographical origin of the plants as one would find in a botanical garden, while Lester Hawkins of Western Hills Nursery, designed the overall layout of the garden beds and paths. 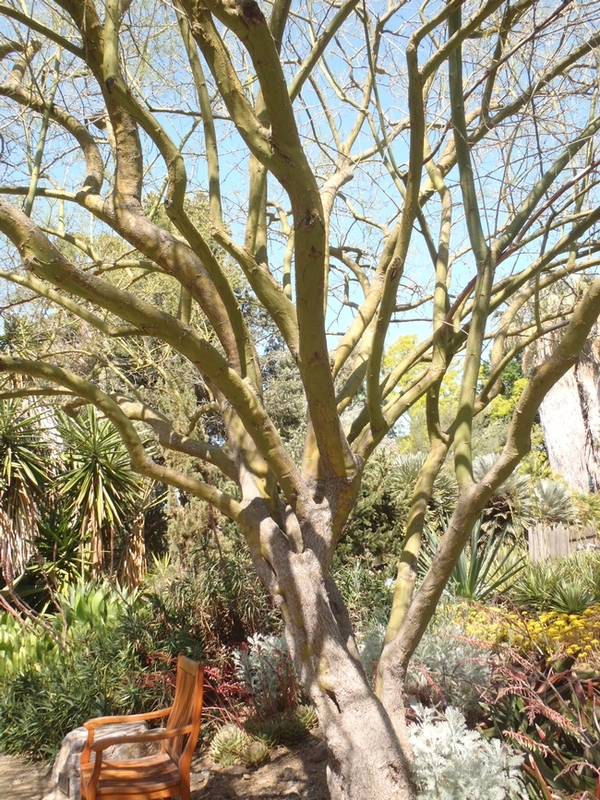 Indeed, a visitor to the garden will find a carob tree, a white gum eucalyptus tree, pine trees, etc., planted next to, or near,large agave plants and aloes, because Mrs. Bancroft found the contrast in color, texture, and structure of these diverse plants, pleasing. Mrs. Bancroft continued to work in and on her garden into her 90’s, and the garden continues to be maintained in her spirit to this day (e.g., palm fronds are not trimmed, as that was Mrs. Bancroft’s preference, and small, delicate metal tags reminiscent of a home garden, serve to identify the plants, rather than the heftier, wooden markers commonly found in botanical gardens). 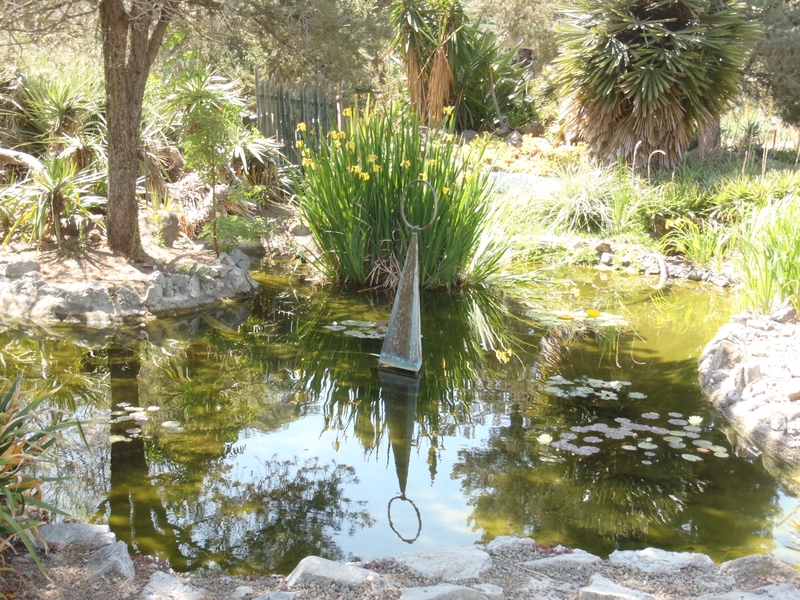 In 1989, the Ruth Bancroft Garden became the first preservation project of The Garden Conservancy, a non-profit organization whose mission is to conserve exemplary examples of American gardens. 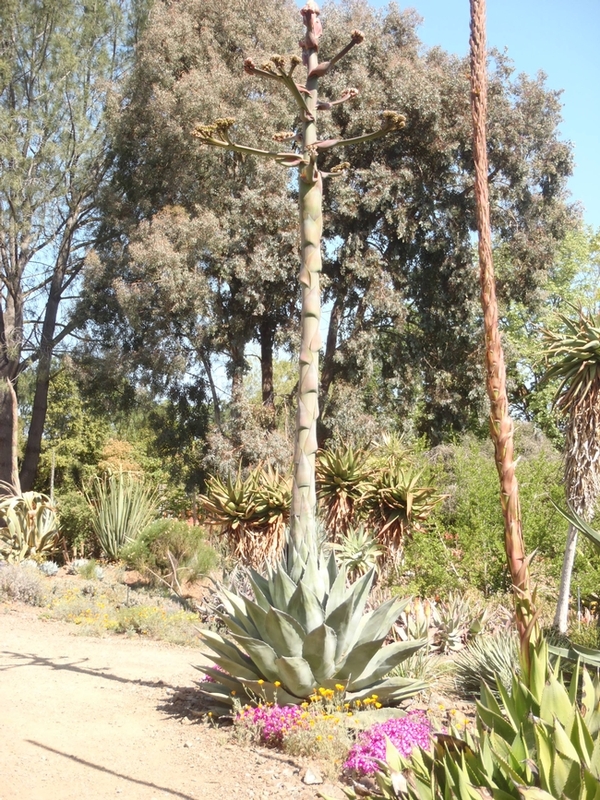 Kimberly said that visitors from near and far come to visit the Ruth Bancroft Garden, because it contains unusual and hard-to-find succulent specimens. Although the garden changes throughout the year, Kimberly recommended visiting in May when many of the plants are in bloom. For more information, please see http://www.ruthbancroftgarden.org/.